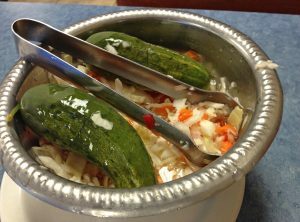 ***** Bagel Snack Restaurant & Deli, 1237 South Powerline Road, Pompano Beach, Florida 33061 (954) 974-4564. 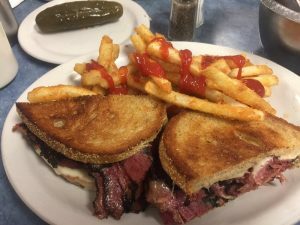 First told you guys about Bagel Snack Restaurant & Deli on 2/11/10. Stupidly, hadn’t been back- that is until yesterday afternoon when Jeff Eats, Mrs. Jeff Eats and a couple of friends did lunch there! 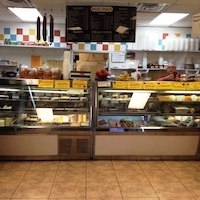 Bagel Snack Restaurant & Deli is open 7 days a week 6:30am-3pm. 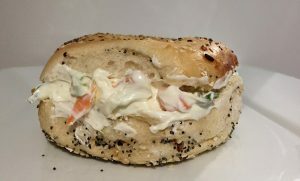 You can check menu/prices/info at bagelsnack.com. 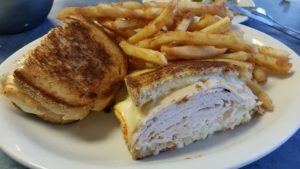 Got a really good “NY STYLE BAGEL DELI” joint for you…Bagel Snack in Pompano Beach. Check menu/prices at www.lauderdalemenus.com. 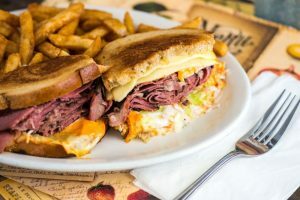 Bagel Snack’s menu is loaded with real good– breakfast stuff, salads, sandwiches, lox-deli meats…and absolutely terrific– bagels and bialys. 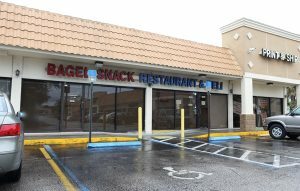 You know and I know, that bagel-deli joints are a dime-a-dozen down here in South Florida…Bagel Snack is one of the better ones. 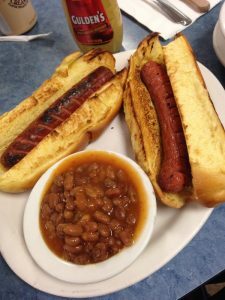 Nothing more to say, except…the joint is open 7 days a week-6:30am-3pm. Haven’t been there since working in the area. Remember great bagels! Definitely one of the best bagel joints in south Florida. Ive been eating there for years. Their bagels and bialys are terrific. I love this bagel deli. 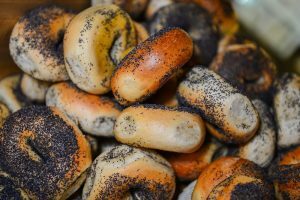 Some of the best bagels in Florida. Their tuna salad is dellicious.